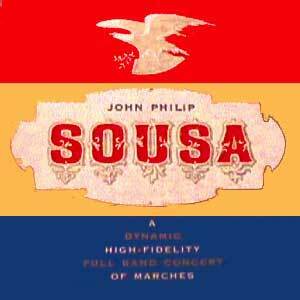 "This high fidelity concert of John Philip Sousa band marches represents in repertoire that which is generally considered the best of the composer's works. "As the name Strauss is synonymous with the waltz, so is the name Sousa synonymous with march music. It may even be said that Sousa is internationally accepted as the march king.